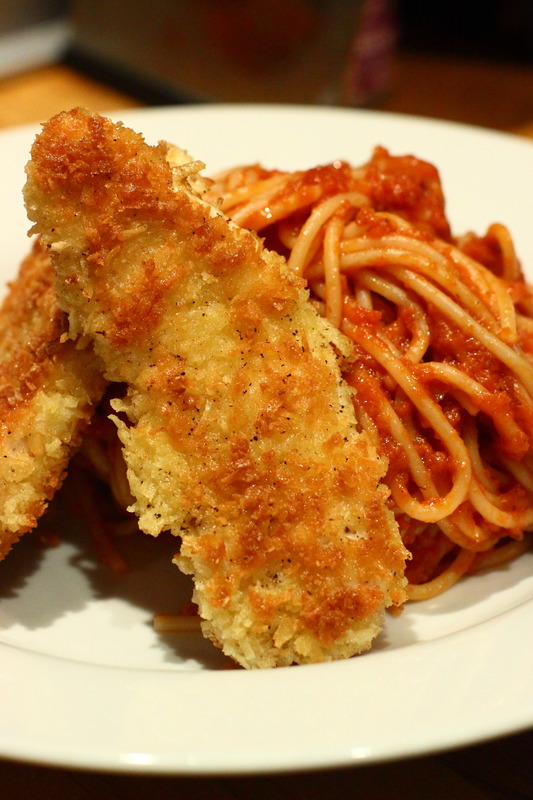 We’ve shared our chicken milanese recipe on the blog before. Here is an alternative sauce to serve with the pasta accompanying the chicken. This would work equally well as a starter pasta course. Blend the onions, garlic and water together using a hand blender to form a smooth paste. Fry the paste in the olive oil over a medium heat until it starts to go golden (about 5 minutes). In parallel, blend the contents of the tin of tomatoes until they are completely smooth. Add the wine and sugar to the onion mixture and bubble vigorously over a high heat for a minute or two. Then add the tomatoes, oregano, salt and pepper. Simmer over a low heat for about 20 minutes and put the pasta on to boil mid way through. Serve the sauce stirred into the pasta, sprinkled with grated parmesan cheese if you wish. This entry was posted in Comfort food, Family friendly, Freezer meals, pasta, Vegetarian by theclaremontroadkitchen. Bookmark the permalink. Roughly based on the life of the 1950’s serial killer Ed Gein, in 1974 Tobe Hooper began the age of the slasher film genera with the now classic horror movie “The Texas Chainsaw Massacre” & its spine chilling villain Leatherface. Moving back and forth and collecting power; acting as a compressor for the fuel air mixture; and, as I stated earlier it also acts a valve. If you think it’s your duty as a responsible adult world citizen to do something about the adversities of oil abuse going on, switching to biodegradable lubricants will definitely be a notable step towards going green. Making certain the spring rests against the brush, replace the spring as delicately as you moved it aside. Never look down your air line as you are opening it.